Posted by Rita on June 17, 2013, updated September 4, 2014. Friday, June 14, the Treefrog team journeyed out of the office on a field-trip to the Orange County Convention Center for the 2013 information and technology show: InfoComm13. Walking in we were greeted with the brilliant flashings of the many LED screens and searchlights. We were like children in a candy store not sure where to begin, but as we moved through the many exhibits a new and very cool technology seemed to present itself as the theme of the show: transparent display screens! With these screens, information, or specifications, about a product can be viewed directly over a display of the actual product! 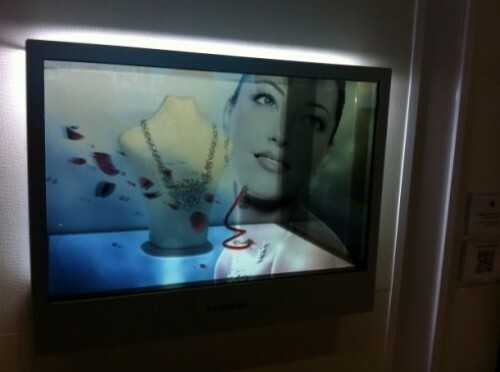 Example of a jewelry display with a transparent screen. 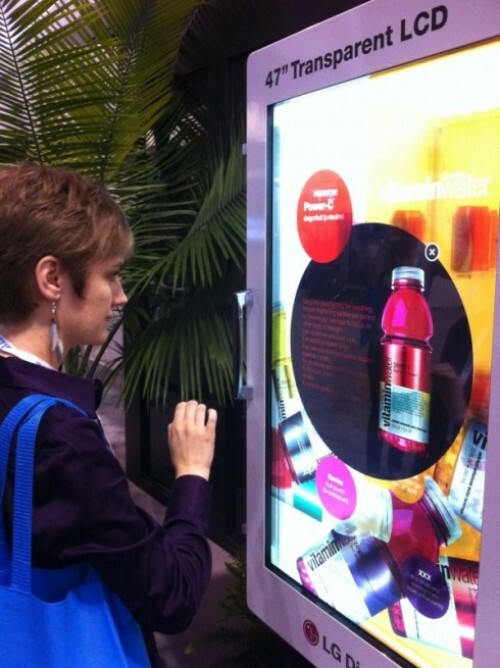 Even cooler was a transparent touchscreen vending machine where you could get product information before selecting your final purchase. 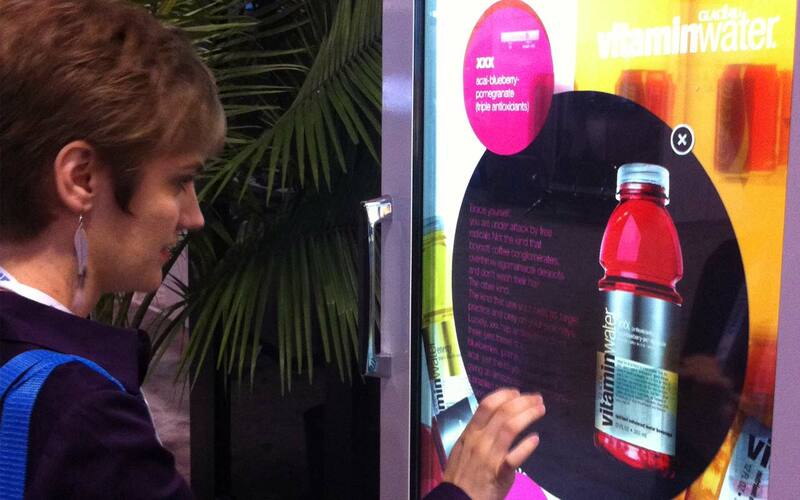 A transparent touchscreen vending machine. Posted by Rita on May 6, 2013, updated September 26, 2014.